Il Full Moon Poya Program will be held on Saturday, November 19, 2016 from 7:30 am to 6:00 pm at the Georgia Buddhist Vihara. We invite you all to join the program. It is the last Poya in the rainy season. The announcement of the future Buddhahood of Maitriya Bodhisatva. 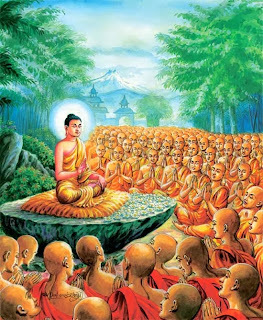 The first Buddhist Missionary activity by Sixty Arahaths. Jatila Brothers-Uruwela, Nadi, Gaya followed the Buddhist Order. Pirinirvana of "Dharmasenapathi" one of the Chief Disciples Sariputta. 7:30 am – 8:30 am : Observance of the eight Precepts, Buddha Puja and Heel Dana. 8:30 am – 9:00 am : Tea & coffee break. 9:00 am – 10:00 am : Vipassana Introduction. 11:30 am – 12:00 Noon: Dana offering to the monastics and those who observe eight precepts. 3:00 pm – 3:30 pm : Tea & coffee break. 3:30-4:30 pm: Dhamma Desana by Baminiyanvila Dhammaloka. 5:00 pm: Pujava and end of the program.